Stephanie McGrane had an opportunity to meet with Miss California Teen USA and Miss California USA the day after their crowning to talk a bit about their experience. 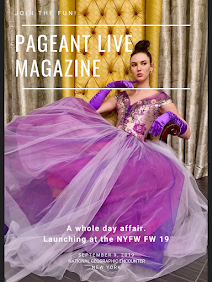 In the midst of their preparations for their official photo shoot, Stephanie was able to ask then some questions about their beauty regimen, their dresses, crowns and the winning moment. Crowned just the night before, the two new California queens are still having trouble wrapping their heads around the big win. "We both hardly slept so it feels like it just happened," Bianca said. "They called the first runner-up first and I was like, 'wait, they didn't call my name! That's me!' It was just an amazing feeling." "I had a very similar reaction," Cassandra shared. "I was in complete shock and in the video I have the weirdest reaction. ... It hasn't quite sunk in yet." 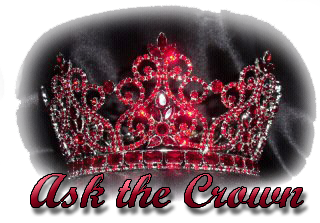 Two Crowns for Each Queen! You may have noticed that the Miss California USA and Miss California Teen USA titleholders have two different crowns during their year of reign. These are created by INTA Gems and are filled with real gems, diamonds and pearls. The design holds a lot of symbolism and are made to represent California's love, beauty, and unity. A search online found a 2009 press release about the Miss California USA crown. You can see it HERE. The provided link shares this as part of the explanation of the design. "Designed by Peter Young, Creative Director of INTA Gems & Diamonds, the Miss California USA® Crown incorporates many elements of California to symbolize the beauty of the state. Sparkling stars line the border of the crown to represent the Hollywood Walk of Fame. In addition, the curves of the crown bring out the natural beauty of strong glistening waves that flow back and forth, just like the beautiful California coastline. Peter Young says, 'I based the design elements for the Miss California USA® Crown from the natural beauty of California. Also, with the controversy over Carrie Prejean’s opinion regarding gay marriage at the Miss USA® pageant, I wanted my design to present an open view for the next 2010 Miss California USA® titleholder. My wave design represents the different perspectives everybody has because of our diversity in California. I felt a strong need for people to know that although we may have different opinions from opposite sides, the one universal idea that speaks true for all of us is that love unites. Therefore, at the center of the beautifully formed sparkling wave design is a heart. I hope that speaks true to the next Miss California USA." The Miss California USA crown. The teen crown was created in 2010 and dedicated to the MTV Love is Louder Movement. This crown holds a number of symbols and representations of not only California, but also has pieces to represent bullying prevention and awareness. A video made by the 2010 Miss California Teen USA and crown designer, Peter Young, talks more about the tiara. You can view the video and explanation of the design HERE. 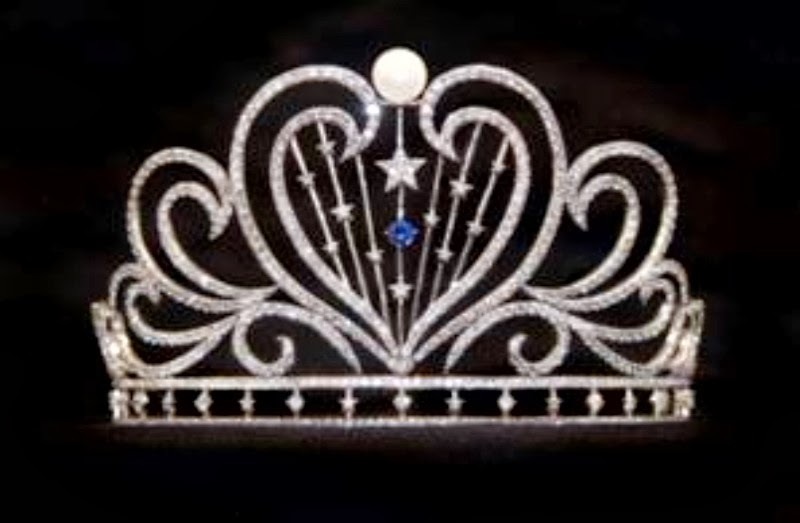 The link from INTA Gems says the following about the design of the teen crown: "The Miss California Teen USA Crown has a similar style to the senior Miss California USA Crown; however, the Teen Crown incorporates a rising sun in the center symbolizing the dawn of a brighter day and future. There are fancy yellow diamonds that represent radiant sun rays shining upon a curving California coastline. The design elements derived by the natural beauty of California incorporates glistening waves and vivid sun rays which together form a heart outline to symbolize LOVE. In addition, there are natural purple sapphires that are set in the crown in memory of the teens who have taken their own lives because of bullying. The purple color is a reminder to the Miss California Teen USAs who wear the crown to not forget their pain and to speak out on their behalf. 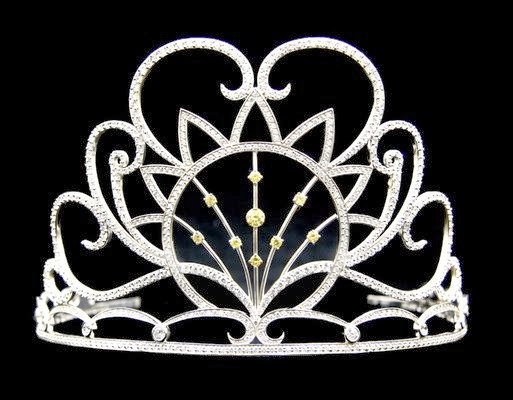 The Miss California Teen USA Crown is crafted of precious gems, diamonds, platinum, silver, and gold and is valued at $200,000. Peter Young said, 'The heart that symbolizes love of the Miss California Teen USA Crown is not noticeably visible at first, but if you look closely at the waves and sun rays of the crown, you will see that they together form a heart in the center. To young people who are bullied and harassed for any reason, we encourage you to seek out and share your feelings with your friends, family, school faculty. Together, loved ones in the center of your life can actively speak out and find ways to stop the bullying.'" 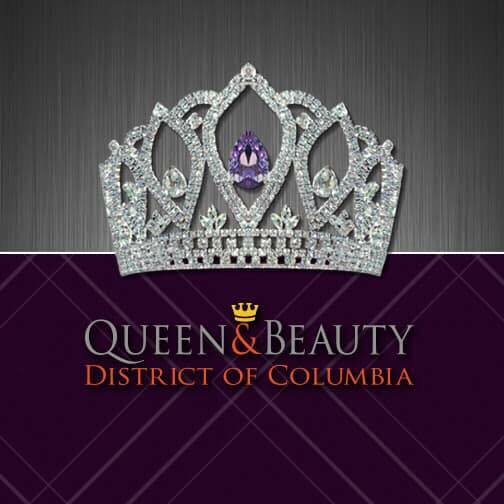 To see more about the crowns, healthy living tips, and more about these titleholders, you can check out the video below. Please be sure to follow and subscribe so you never miss a blog or video!